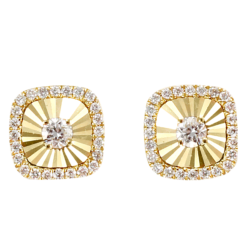 These earrings have some incredibly stunning Diamonds that have a total weight of 0.63ct. The Diamonds are “G” in color and “VS” in clarity. The The Earrings are beautifully designed and made from 14kt white gold.